Put 50 years of combined legal experience on your side. Call our firm to defend your future. 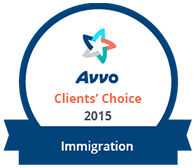 Legal Representation for the Most Challenging Immigration Issues. The Law Offices of Daniel Shanfield - Immigration Defense, PC is a recognized leader in immigration law, with the highest reputation in the Bay Area for helping immigrants resolve their immigration problems. Our staff is committed to bringing immigrant families together, and keeping them together when trouble strikes. Do not navigate through the complexities of the legal system without our personalized legal solutions and supportive assistance. Retain the immediate representation of our experienced and trusted San Jose immigration defense lawyers. 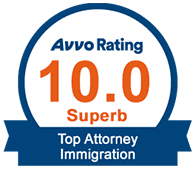 Our Northern California immigration defense attorneys handle complex deportation defense for both criminal law and immigration violations. Our firm is dedicated to defending the rights of our most vulnerable immigrants. We aggressively fight for asylum protection and refugee status, permanent residency under the Violence Against Women Act (VAWA), and legal status through victim of crime U visas. We defend immigrants in San Jose and Santa Clara County and throughout the San Francisco Bay Area, as well as the Counties of Santa Cruz, Monterey, San Benito, Merced, San Joaquin, Sacramento, Fresno, and Stanislaus. Our staff of immigration lawyers includes former international human rights defenders and immigration and state bar prosecutors. Thanks to this inside knowledge, our team knows firsthand how ICE attorneys and DHS agents come after immigrants. We’ve seen their games, and now we use this insight to help get our clients the results they deserve. The Law Offices of Daniel Shanfield Immigration Defense PC is dedicated to winning the toughest immigration cases. Your case must be carefully evaluated to determine the best legal strategy to assist you and your family. Our offices serve immigrants from all over California, the United States, and around the world in most kinds of immigration defense matters. We are here to help you quickly solve your immigration problems, so you and your family can finally build a future here in the United States.